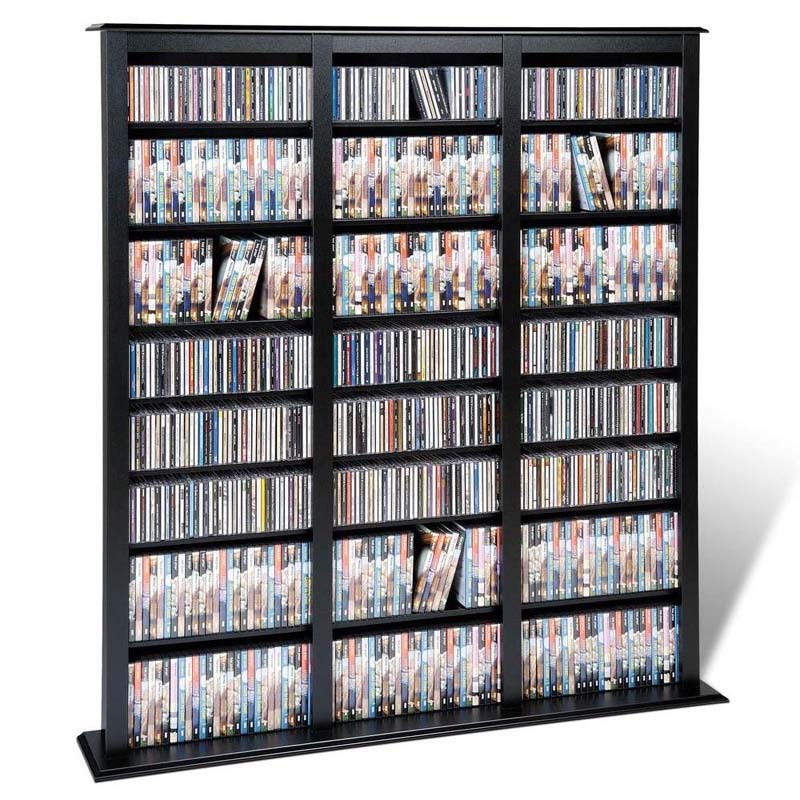 See additional information on the Prepac Triple CD DVD VHS Tower (Black or Espresso) MB-1200 below. 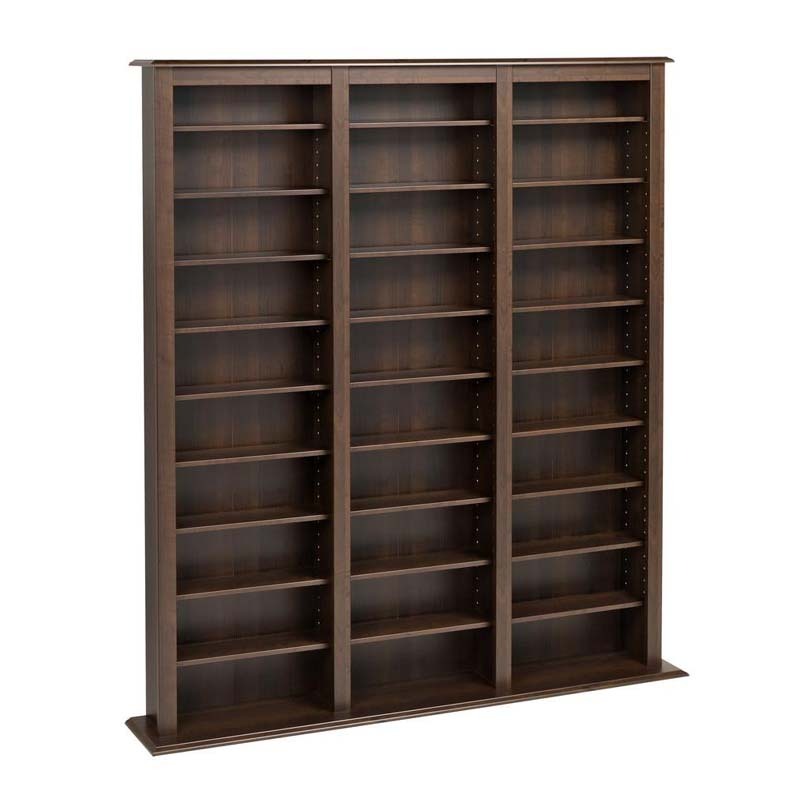 A triple-wide design for maximum multimedia storage. 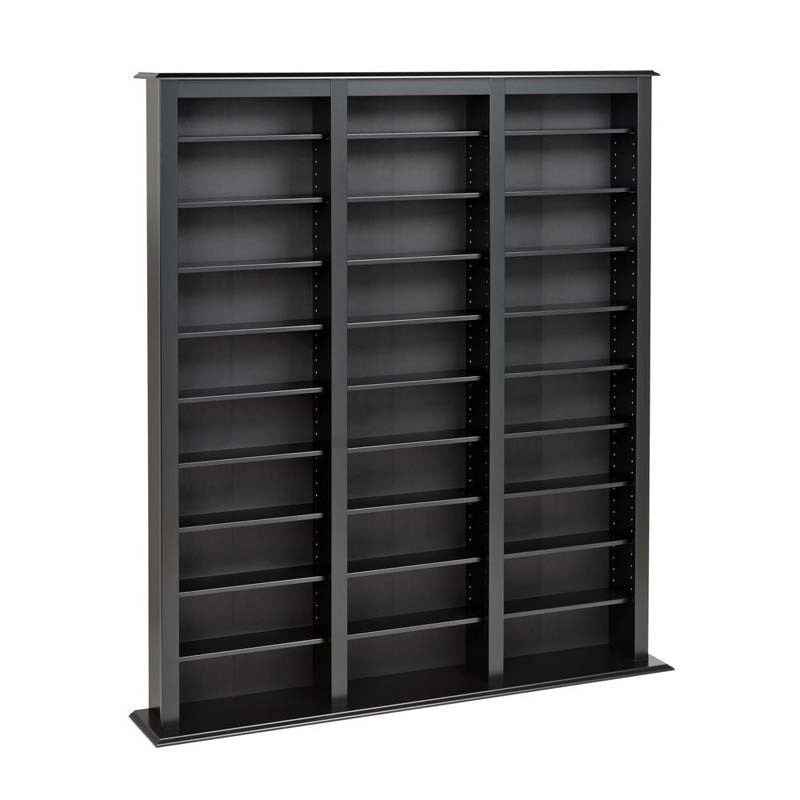 Fully adjustable shelves for easy organization and multi-size accommodation. 1.75" accent moldings with profiled tops and bottoms. A modular and stackable design for library-building. Laminate-coated MDF (Medium Density Fiberboard) construction for strength and durability. The strap included with this unit is a precautionary measure. The unit does not have to be bolted to the wall in order to stand. The safety strap simply minimizes the risk of the unit tipping in any way. 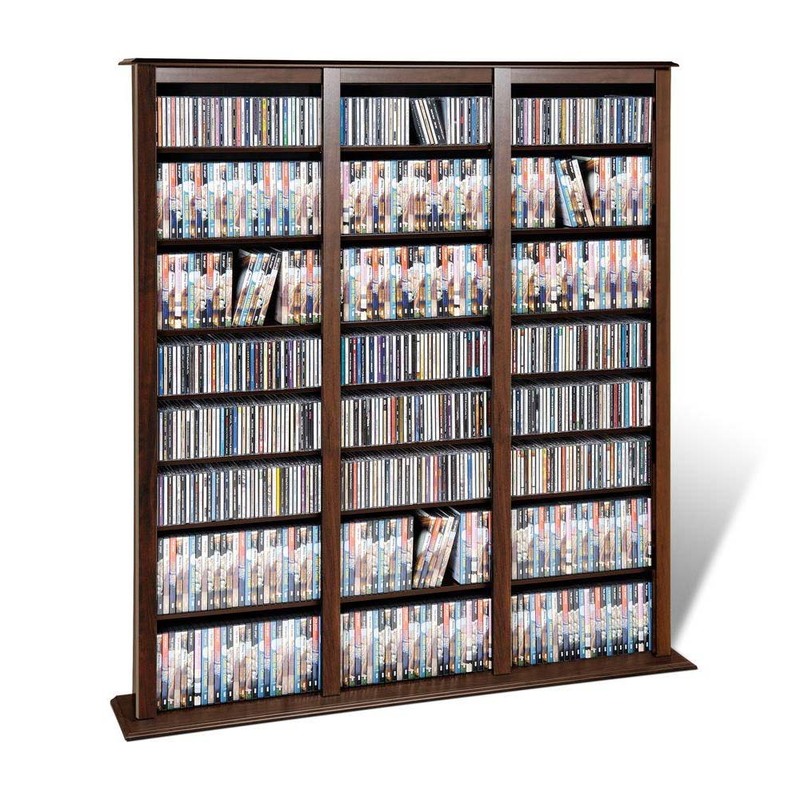 *Accommodates up to 1200 CDs, 567 DVDs, 336 VHSs, 882 cassettes, or any combination of the four. 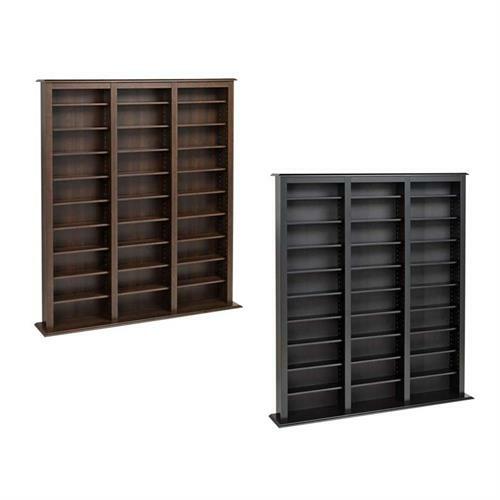 Available in a black or espresso finish, with black interior and shelves.